My skincare routine is pretty simple. I do like a clean face and I do like to wash with soap and water. Unfortunately soap being too harsh on my skin I had to find an alternative. Recently I discovered a product from an Australian company MooGoo Milky Wash.
Comes in a great big 500ml pump bottle, I apply one or two pumps depending on how much makeup I have on. It has a thick creamy consistency which I massage into my skin, including around my eyes to remove mascara (no tears) and then I rinse it off with water. No dryness, doesn't leave my skin feeling tight, just super clean, every spot of makeup removed and feeling incredibly soft. This stuff contains capric glucoside (sugar) which was originally developed for baby and face wipes. I love it, I use it at night in the shower. You can also use it as an all over bodywash, it is great for sensitive skin, totally soap free. In the morning I generally just swipe my face with a face wipe, I am amazed by just how dirty my face can get sleeping. 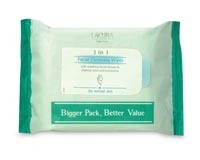 At the moment I am trying Lacura 3-in-1 cleansing face wipes and they do a pretty good job. I also use them to remove makeup when I arrive home too late and don't feel like washing my face, they leave my face fresh and clean without any dryness and they remove mascara without stinging my eyes. Next I moisturise. 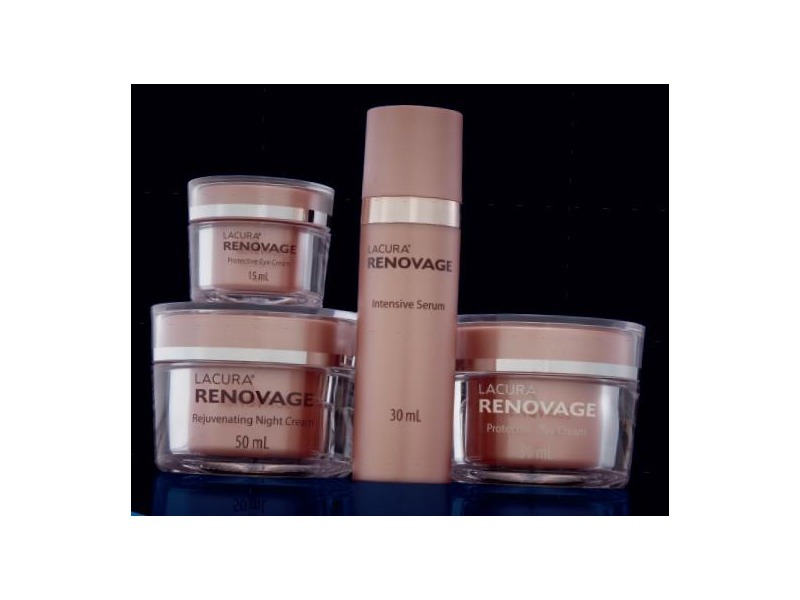 I have been using the Lacura Renovage System with good results. It consists of an Intensive serum, Day cream, Night Cream and Eye Cream. I have written a review about them previously so I won't go into too much detail but I am really happy with the results I am seeing, my skin definitely has improved and I am seeing less wrinkles and plumper skin. Another repairing moisturiser I apply before I go to bed without fail is Macro Natural Vitamin E cream, this has been a lifesaver for me and has done wonders for my skin. I have Systemic Lupus and the skin on my face started to peel making it impossible for me to wear foundation, this cream cured the peeling and I have been using it ever since. I have also written a review about this product as it certainly deserves its own page. Every now and then I like to do an Oil Cleanse. I know there are a lot of oil cleansers on the market but I prefer to make my own with Organic Castor and Jojoba oil, I use a ratio of 10% Castor oil to 90% Jojoba oil, for dry skin, I mix it up and keep it in a pump bottle. Two pumps of oil in my hand and I massage the oil into my face for approx 30 seconds, then apply a warm face washer, leave it on my face until it cools and then wash off the oil. I also use this for my boys who are teenagers and have acne, I use a stronger ratio of 30% Castor oil to 70% Jojoba oil. After massaging in the oil for 30 seconds, I steam with a warm face washer until cool and repeat steaming three times. Oil cleansing helps to deep cleanse your face and remove impurities, whilst leaving your skin moisturised. With acne skin, castor and jojoba oil mimic the natural oils in your skin, reducing the skin's own oil production and thus reducing acne. With the boys I do this once a fortnight as part of their cleansing regime, I think it is very important to teach boys about good skincare habits. 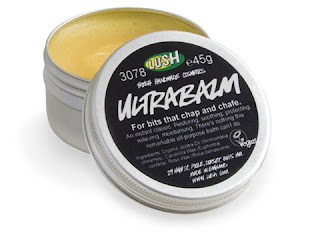 I have also been loving LUSH Ultrabalm which I wrote a review for here. It's a great all-purpose natural balm for dry skin, lips, scars, cuticles, split ends and wrinkles. So that's my skincare routine, please click here for the Renovage System and here for the Macro Natural Vitamin E cream reviews.